2,500 Volt Digital isolator between USB and LocoNet® Keep your system up and running through ground loops, spikes, and surges. Rogue currents and ground loops can wreak havoc with your data, and even damage your PC or connected devices. 57,600 Baud interface speed. – No jumpers or switches to set. Hardware handshaking using RTS/CTS Includes DTR/DSR turn back as required by MS Windows. 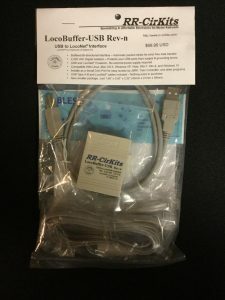 USB Boot Loader for firmware upgrades. 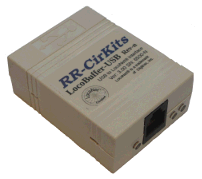 Powered directly from USB port and LocoNet® connections.